I am glad to see Eric Holder leave the Obama Administration. Although he is not the first Attorney General to have politicized the office, he certainly took that politicization to a new level. Unfortunately, his replacement will probably be more of the same. 1. Attempting to bring the 9/11 plotters to a civilian trial in New York City. Eventually he was forced to bow to public pressure and the trials were moved to Guantanamo. 2. Operation Fast and Furious. 3. Refusing to enforce the Defense of Marriage Act (DOMA) despite being charged as Attorney General to uphold the law of the land. 4. Eric Holder is the first Attorney General to be held in contempt of Congress for withholding documents relating to Fast and Furious. 5. Targeting journalists. The Department of Justice under Eric Holder seized a broad array of phone records of Associated Press journalists. 6. Operation Choke Point, originally established to stop consumer fraud is being used to target gun shops and pawn shops that sell guns. 7. Stonewalling in the investigation of the Internal Revenue Service‘s targeting of conservative groups. 8. Intervention in the shooting of Michael Brown in Ferguson. 9. Blocking Inspectors General from accessing documents related to Congressional investigations. Often cited among Holder’s controversies are his targeting of journalists and federal whistleblowers. Last year, it was revealed that the Justice Department had labeled Fox News reporters James Rosen a “co-conspirator” in one leak investigation and had seized phone records of Associated Press reporters in another. More than two dozen news organizations signed a letter of objection, prompting Holder to modify Justice Department policies. Additionally, Holder has refused to answer questions first posed by a U.S. senator in July 2013 regarding the unauthorized, remote intrusions of my computers. Holder also leaves the Justice Department in the middle of its investigation into the IRS’ targeting of conservative and tea party groups. The Justice Department has faced conflict-of-interest allegations because at the same time it is supposed to be independently investigating the IRS, it is also defending the IRS in civil litigation. Holder has said that his agency is impartially investigating the IRS and that no politics are at play. It became obvious that Eric Holder was not going to dispense justice in an even-handed manner when he dropped the voter intimidation charges against the New Black Panthers in Philadelphia. The video that went viral on Facebook clearly showed the Panthers intimidating voters, but the Holder Justice Department dismissed the charges. Eric Holder has also used the Justice Department to attack laws that would ensure less fraud in American elections. I am not sad to see him leave. My only regret is that he will be replaced by someone equally politically corrupt. Now That We Know This, What Should We Do ? Yesterday PJMedia posted an article by J. Christian Adams about the newly released Inspector General‘s report on Tom Perez’s DOJ Civil Rights Division. Tom Perez is President Obama’s potential Labor secretary nominee. The report exposes serious racial bias in the law enforcement practices of the Obama Justice Department. Former Voting Section Chief Chris Coates and I both testified about the hostility towards race-neutral law enforcement by the Justice Department. Today’s report paints a disgusting portrait, confirming our accounts. It is entirely possible that Tom Perez was simply following orders issued by Attorney General Holder, but do we want to promote someone who was unwilling to enforce the law equally for all Americans? Please follow the link to the article at PJMedia to read the entire account. 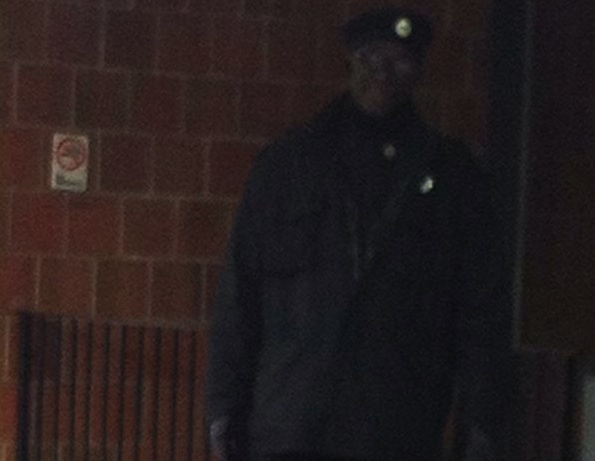 This is a picture of one of the New Black Panthers guarding the polls in Philadelphia. We did this four years ago, we are doing it again. Why? Because of the way the Department of Justice under Eric Holder handled the case. In 2009, the Department of Justice sought a permanent nationwide injunction against the New Black Panther Party appearing at the polls. The Eric Holder Justice Department gutted the case in May 2009. Had the political appointees at Holder’s Justice Department sought the relief requested by Michael Mukasey’s Justice Department, this wouldn’t be happening. Attorney General Michael Mukasey’s DOJ filed a complaint that sought a permanent injunction against King Samir Shabazz and Jerry Jackson from appearing in front of a poll in New Black Panther attire nationwide. Court-appointed Republican poll inspectors are being forcibly removed from voting stations in some Philadelphia wards and replaced in some cases by Democratic inspectors and even members of the Black Panthers, according to GOP officials. The Philadelphia GOP is reporting that court appointed Minority (read GOP) Inspectors are being thrown out of polling locations in several Wards. These Inspectors are election officials – again, court appointed — and are reportedly being thrown out by the Head Judges of Elections (these Judges are elected Democrats) and being replaced by Democrats. Chicago-style politics has come to Philadelphia. If the American people return President Obama to office, they will see more thuggery every time there is a close election involving Democrats. Today’s Daily Caller posted a story about Eric Holder‘s Justice Department collaborating with Media Matters to control press coverage on some of the scandals within the department. The information in the story was obtained through FOIA (Freedom of Information Act) requests. Dozens of pages of emails between DOJ Office of Public Affairs Director Tracy Schmaler and Media Matters staffers show Schmaler, Holder’s top press defender, working with Media Matters to attack reporters covering DOJ scandals. TheDC obtained the emails through a Freedom of Information Act (FOIA) request. 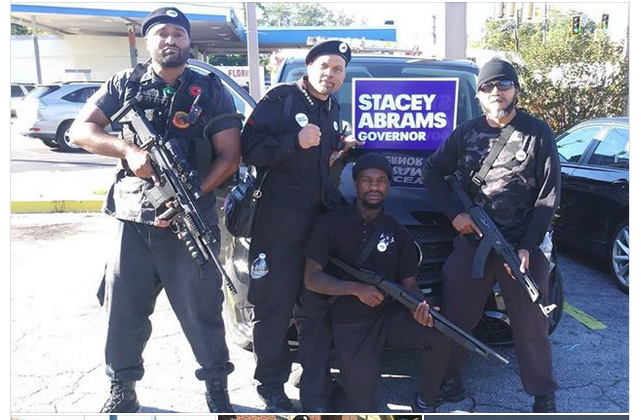 Two of the main cases discussed in the article are the New Black Panthers voter intimidation case in Philadelphia and Operation Fast and Furious. In both cases Media Matters was asked to attack the people investigating the scandals or the people attempting to inform the American public. The goal was to make sure the American people never learned the truth in either case. Please follow the link above to read the entire article. It is worth reading. This is the kind of story that explains why the mainstream media is dying and the alternative media is growing. It is obvious that there was very little truth in what was reported by the mainstream media. Today’s Washington Examiner is reporting that a federal court has determined that some of President Obama’s political appointees interfered with the Department of Justice prosecution of the New Black Panthers voter intimidation case. Judicial Watch had sued the Department of Justice to enforce a Freedom of Information Act (FOIA) request for documents. The documents were eventually obtained. The current lawsuit involved reimbursement for attorneys fees. Incidents like this need to be remembered when all of us vote in November. Has Anyone Bothered To Check The Facts ? The killing of Trayvon Martin has brought all sorts of people with all sorts of political and ideological persuasions out of the woodwork. There are rumors and pictures flying–some accurate and some not so accurate. According to the Los Angeles Times, the New Black Panther Party has offered $10,000 for the citizen’s arrest of George Zimmerman. There have also been death threats against Mr. Zimmerman and charges that he was not arrested due to political connections. Al Sharpton and Jesse Jackson have gotten involved. Have any of the people screaming bothered to check the facts? This is the kind of rhetoric that results in lynchings–it needs to stop. A local Florida reporter has taken the time to clear up some of the misstatements and misinformation that is out there. Rene Stutzman at the Orlando Sentinal has done some investigating and dispels some of the rumors that have been circulating. 1. There is a rumor that the county Medical Examiner refused to release Trayvon Martin’s body to his family for three days. That is simply not true–the coroner released the body to the funeral home after 39 hours–the funeral home did not pick up the body for another 24 hours. 2. Rumor has it that the Sanford police did not collect George Zimmerman’s clothing as evidence. That is also not true–clothing from both men was collected to be examined as evidence. 3. One story says that George Zimmerman was not arrested because he has a relative on the police force. First of all, he has no relative on the force. Second of all, Florida Statute 776.032 expressly prohibits police from arresting someone who had a reasonable fear of imminent death or great bodily harm. Legally, the police could not have arrested him. It is a tragedy that Trayvon Martin is dead, but we need to be careful not to make him an angel in death when there are some real questions as to what kind of a person he was in life. Family attorney Benjamin Crump told ABC News that Martin had been slapped with a 10 day school suspension after a bag with suspected marijuana was found in his backpack. Last year Martin was suspended for spraying graffiti on school grounds. The Miami Herald reported that the school guard who stopped him searched his backpack and found 12 items of women’s jewelry and a flathead screw driver that the guard believed to be a “burglary implement.” But Martin was never charged or specifically disciplined for the incident. It is a shame that Trayvon Martin is dead, but that death has nothing to do with racism–it seems to have more to do with being in the wrong place at the wrong time and some very bad decisions made very quickly by both parties involved. I am not sure George Zimmerman should be charged with anything. Evidence suggests that he was pretty badly roughed up when police interviewed him. Hopefully, the hysteria will die down soon enough for the truth to come out. America is not a racist country. America is a country that (like all other countries) has citizens who are racists, but America is not a racist country. To assume, because a young black man was killed in Florida, that it was an act of racism is not a reasonable assumption–particularly before we know the facts and before the man who did the shooting has a fair trial. However, that doesn’t stop some people from doing really stupid incendiary things. Breitbart.com reported yesterday that the New Black Panthers have offered a $10,000 reward for George Zimmerman, the neighborhood watch volunteer who shot Trayvon Martin. At least the poster says they want him alive–not dead or harmed. Several dozen supporters of the group known by its acronym NBPP — unrelated to the revolutionary Black Panther Party active in the 1960s-1980s — meanwhile protested for the third time this week at the police headquarters in Sanford, Florida. Activists had called for the mobilization of 5,000 black men to capture Zimmerman. And Muhammad said the NBPP was receiving donations from black entertainers and athletes, with a goal to collect $1 million by next week. Why is the assumption here that the killing was racially motivated? What positive contribution do the New Black Panther Party make to the dialogue? I really do think everyone should stop what they are doing and go home and let the law enforcement people who actually know what they are doing handle this. I am beginning to wonder if George Zimmerman is being railroaded by people who have no knowledge or interest in what the actual facts of the case are.